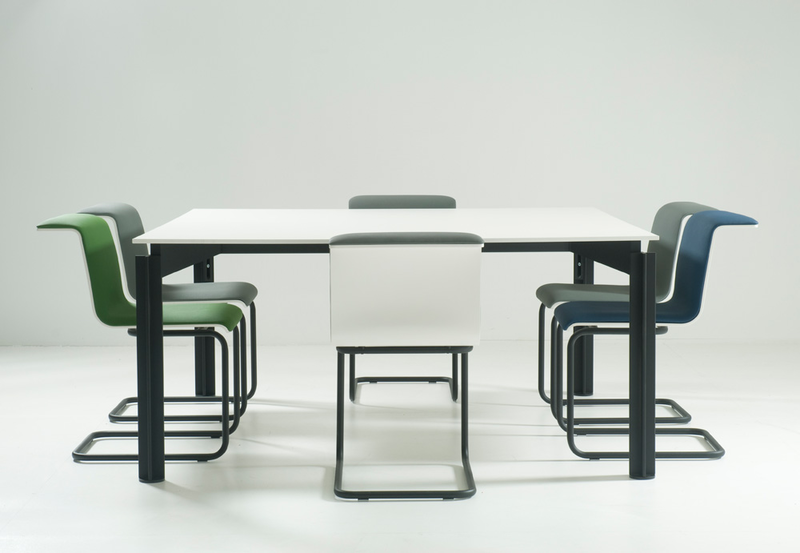 The distinctive and successful Tab chair with rear armrest. The chair as a versatile seating module suitable for both residential and office needs. Comfortable, stackable and structurally linkable to create instant rows. Its distinctive folded profile provides good handling and excellent active seating ergonomic. Produced in Belgium by Bulo.